Do you remember InkyDeals? We tell you about them every time they have some amazing design and photography deal worth sharing. This time, InkyDeals came up with the Giga Bundle that includes vector illustrations, t-shirt designs, high-quality textures, Photoshop brushes, video tutorial for creating an old retro-style countdown timer, and 9 responsive premium Bootstrap 3 templates. 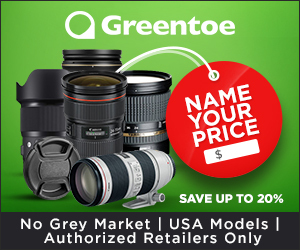 As photographers are creatives who need various design resources to use on their sites and blogs, this deal is right for you! The vector pack you’ll find in the bundle includes floral, letters, school, nature, stamps, business, infographic, food, Christmas, Halloween, beauty, and many many more other Illustrator patterns that can be used anywhere you want. 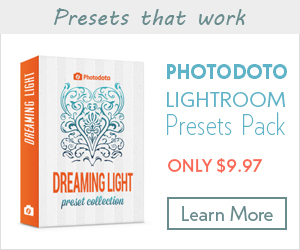 Photoshop brushes and textures may serve you as great post-processing features. Use vector illustrations as postcards. 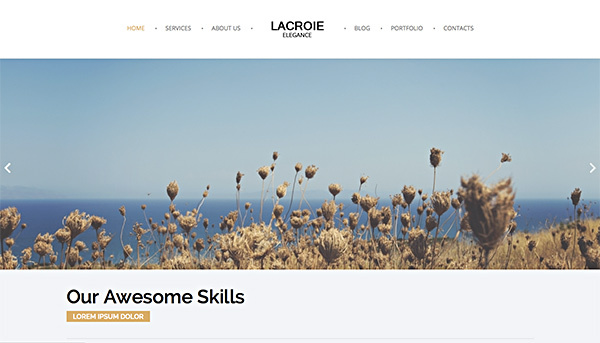 And on the base of 9 high-quality responsive templates, you may build your portfolio website. That’s the whole bunch of useful resources for a ridiculously low price! The screenshot of premium Bootstrap 3 website template. Since InkyDeals are our friends, they’re offering an exclusive 30% discount coupon GIGA30 for Photodoto readers! That means you can buy this bundle even cheaper, for only for $49. You can play around with all the things included here to get even more advantages than we suggested! You may try out some resources from this InkyDeals bundle to ensure that the deal is worth its money! Just download the sample of the resources by clicking the button below. If you’re not convinced yet, I’d like to bring to your attention that all these resources from the InkyDeals bundle come with an extended royalty licence, which means you’re allowed to use these items for commercial and even merchandise purposes. 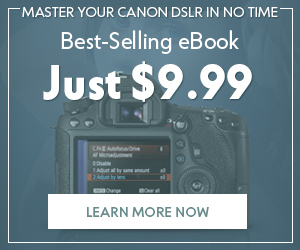 If it’s not enough for you, InkyDeals also offers you a 100% money-back guarantee! In other words, you may get your money back without questions and at full size! 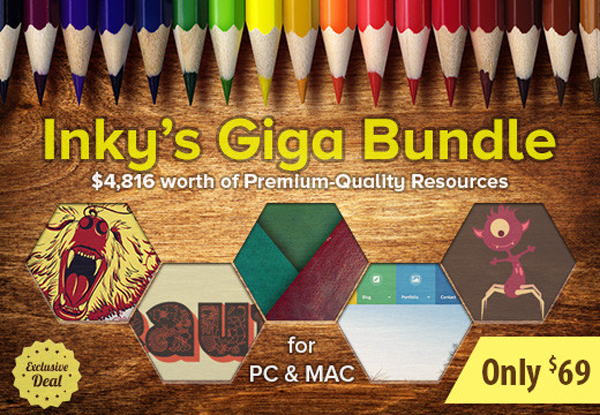 After properly learning what’s inside the bundle, you’d be totally insane not to get it for your creative needs! I’m kidding, of course. 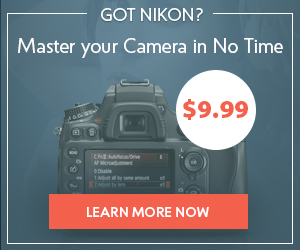 It’s only up to you, but don’t think twice, as this deal expires really soon!